Hello everyone, I have my new doll on eBay and haven't listed in a few month, I was wondering if eBay is still a place where you guys list? 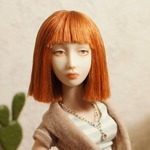 for one I don't see many porcelain BJD there, also have such a low number of lookers and watchers (never been so low). Another weird thing that never happened to me is the bid retraction, and with this listing I have two bidders that pulled out , I don't understand, maybe I made a mistake in listing, like I said I haven't listed in sometime, was actually absent from all the social network. Have it happened to anyone else? Beautiful doll! I don't think you made a mistake- I think that people who retract their bids are people who probably entered a bid impulsively- and then realized they couldn't actually afford to follow-through. You are right Galacticat probably that is what happened, maybe that time of the year. Hi Kamia so it is you , nice to meet you here too, I know with you she would be in good hands! I'm rooting for you too kamia! Yes, I have that pain too! But I want a new car even more than a doll if you can believe it! So I am committed! For now. Good luck with both wedding and eBay!! She is very beautiful- I have been looking at her on ebay too. I check in there a lot, but also on etsy. There are not a lot of places to check for dolls, unless it is the artists web site or facebook. So yes ebay is a good place to look. Also I think the price you started your auction at is good too. I sometimes think that the new dollmakers who make a custom doll with a lot of accessories and start with a high price are scaring off bidders. 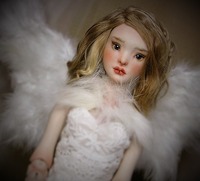 It takes alot of faith for the buyer to pay a high price for a doll, one no one else might value that high. I always think , will I be able to sell this doll at near this price, before I bid. I think it is better to start off making nudes that allow you to increase your skills in doll making and painting, sell for a lower price that allows one to make a fair wage. Then when those skills are better and word of mouth spreads, then add on accessories and increase the starting price. I think at minimum, you have to make a doll that is worth a 2 thousand dollars if you are making them as your primary means of income, but you cant start there. 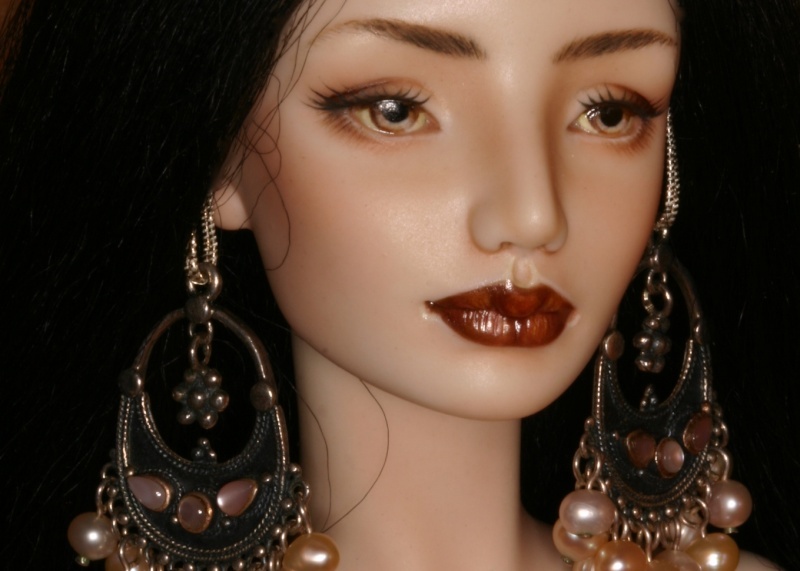 I look at these dolls as art, so I am willing to pay high prices for dolls that are "art". But just because you can make a doll that is painted and all the limbs flex- it doesnt make it art. I also see a lot of dolls that I want and cant afford- I think the prices are fair still, since I know artists need to make a living. I also know that buyers fuel high prices, not necessarily how well the doll is made, if the artist is one everyone wants a doll from, prices will sky rocket. But there are few of these dollmakers, and no one gets to start at that level in terms of price. The bid retractions--- I've been hearing through the grapevine that other artists have had these problems on eBay as well. Not only bid retractions but also winning bids that have not been honoured. I don't know why anyone would bid if they are not seriously wanting to follow through with the purchase. Are they doing it for kicks? Are they having fun trying to raise prices artificially because they are sure someone else will top their bid? And when no one else bids and they find themselves as the probable or definite auction winner, they panic and retract or, if they are the winner, give some lame excuse as to why they suddenly can't honour the sale. Bidders who win eBay auctions and go on to give lame excuses as to why they can't honour the sale should be reported to eBay without hesitation. It makes me wonder just how many of these "fun" bids make prices skyrocket artificially in the case of certain dolls. Just tack on thousands in artificial markup due to these despicable people. 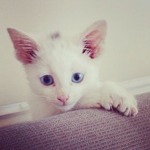 Maryna, lovely to see you here! Your doll is beautiful, and I think others have already mentioned that it could just be someone who made a bid on the spur of the moment, and then realised that they couldn't afford it. They may have also been relying on a doll sale that fell through, and therefore no longer have the funds. Please don't let it affect your confidence, it really isn't anything you have done wrong. I wish you the best of luck with your sale, I love her and wish I could bid, but I am renovating my new house, so can't lol!! Good Luck Kamia! She's a beautiful doll and I hope you get her. xD she was literally in my dream last night. I hope I get to see more pictures of her though! Oh that is sad for you Kamia! But I am happy for you Maryna, that your work is in demand. She is so pretty! Hahaa thank you! I am glad for Maryna too ? hope we see the angel again!